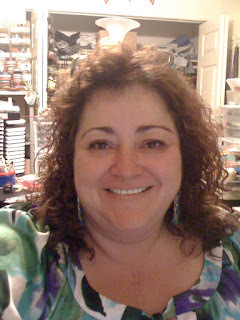 Gastric Bypass...a new life style for me: And now what??? It's been a while since the last time I posted on this blog, to be hones I have been very busy with my business and trying to take care of my family. My diet has been the same, I'm still in a kind of a plateau, but let me recap so you know what's going on. I haven't lost the weight as it was supposed to, why I know that? well when I saw that I wasn't loosing weight, not as I did at the beginning I went to see Dr. Phersson, he sent me with the nutritionist, she gave me a bunch of advises and clues to get to eat whatever was very healthy, don't miss understand me, I was following the rules, at least I thought that, the problem was according to what she said, the way I picked the food and dressings and stuff. She told me I need to check the labels, I didn't know how to read them, I used to see the calories, or carbohydrates and that was it, but she showed me that what is important to check is the calories, against the calories from fat. When you pick a salad dressing for example, and the label says that it has 90 calories, the calories from fat can't exceed more than 20 or 25, because if it does, then it is not good for you. But who told us that???? NO ONE! After I left her office, I was feeling so good, I thought, "Ok my problem is solved"
I stopped at the market and bought all kinds of new stuff and when I got home I toss in the trash every single item that I thought it was "BAD"
The time passed by and the things didn't change, and little by little I realized that I was hungry all the time, I ate and half an hour after or even 10 minutes after I was hungry again, and it wasn't anxiety, trust me I can recognize that, this was real hunger. So I panic and call the doctor, he asked me to go and see him and I did, he ordered a third endoscopy, he said that my gastric bypass could have stretched open, that was so funny, now after all the problems and years of waiting to have something to help me to loose weight I was sitting at the doctor's office and he was telling me that my surgery was messed up, one in a 100, and that was me. Anyway, another of the things that made me take the step of going to the doctor was that my diabetes was coming back, so I finally got the appointment with Dr. Pattel, the endoscopist and before I got in, he told me off the record, that he has seen cases where the stomach just gets attached by itself again to the pouch. That wasn't my case, but he has seen these cases, so, I went in and the results were, Yes, the conduct between my stomach (pouch) and the intestine stretched open. Great! and now what? Well Dr. Pehrsson told me that he could have fix it if in the first year I lost 100 pounds or more instead of 70, and that fixing it will only give me an extra 20 pounds, so what is that, am I done? On the other hand, he asked me to take care of the tumor first, I have the appointment in two weeks, and after that, he will think on what we can do with me and my gastric bypass. So, I'm here loosing a few ounces a week, and kind of soooo disappointed, I will be posting as soon as I get news, but if you are in my case or planning to do the surgery, make sure your doctor tells you all the possibilities, because it is not fun to have surprises.